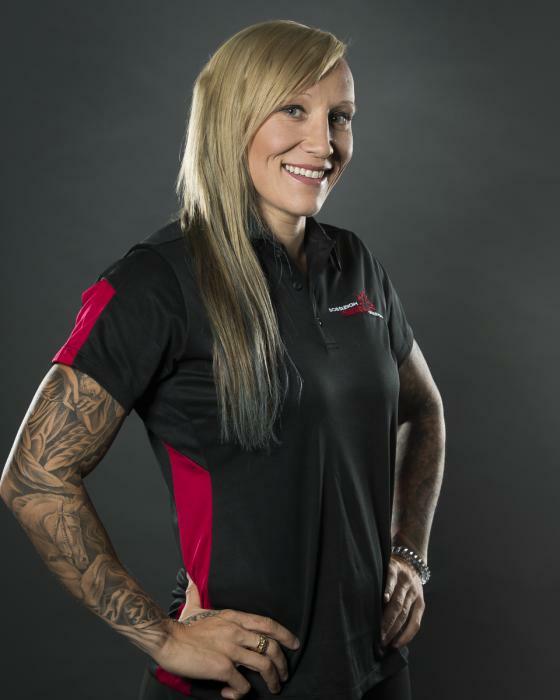 Kaillie started bobsleigh 14 years ago at the age of 17, and spent her first four years in the sport as a brakeman on the World Cup circuit, culminating in her being named to the 2006 Olympic Team, and attending those Games. Kaillie quickly emerged as one of the world’s best bobsleigh pilots after moving into the driver’s seat during the 2006-07 season. With only a few months of driving under her belt, Kaillie’s success steering the sled was instant. She was the overall points leader on the Europa Cup in 2006-07, capturing three victories in four races, and settled for a silver medal at the World Junior Championships. In 2008, she advanced onto the World Cup circuit where she captured her first World Cup bronze medal as a pilot en route to finishing fifth overall. She added two silver medals under her belt during her second season in the driver’s seat, but it was in 2010 that she expressed her dominance in the sport setting six start records and two track records around the world while racking up four medals to finish second overall in the World Cup standings. She had an incredible Olympic experience in Vancouver-Whistler 2010 where she dominated the field in record-setting fashion, becoming the first-ever Olympic gold medallist in the sport for Canada at just 24 years of age with Heather Moyse, Kaillie continued to rewrite the history books where she became the first Canadian woman to win not only one, but two, World Championship titles in the sport back to back (2012 & 2013), with Jenny Ciochetti and Chelsea Valois. Teaming up with three brakemen dating back to February 2012 including Emily Baadsvik and 2012 World Championship winning teammate, Jenny Ciochetti, Kaillie shattered the field week-in-and-week out, setting a new record for wins-in-a-row at eight, and went on to reach the podium in 13 straight races - 11 of them victories, including the 2013 World Championship title with Chelsea Valois. Kaillie welcomed the rookie Valois to her sled in the fall of 2012, and the Canadian duo won seven races in 10 starts. The only three detours from the top step of the podium while racking up her first career overall World Cup title were a silver and two bronze medals. Kaillie reunited with her 2010 Olympic gold medal-winning teammate during the 2014 season, Heather Moyse, where the duo went on to successfully defended their Olympic title in thrilling fashion, the first time in the history of Women's Bobsleigh. Kaillie was asked, following this performance, to be Flag Bearer during the Closing Ceremonies of the 2014 Olympic Winter Games. She and Heather walked in waving the flag with pride as they represented a successful Team Canada. Kaillie continued to add her name to the history books during the 2014-15 season when she became the first woman to pilot a four-man bobsleigh in World Cup competition. She also became the first bobsleigh athlete in 2014 to win Canada’s Lou Marsh Award as outstanding athlete of the year for her stellar 2014 campaign. She capped off the year by accepting the Calgary Stampede’s invitation for her to be the parade marshall for the greatest outdoor show on earth. Kaillie was back on top of the world in 2015-16 where she and brakeman, Melissa Lotholz, captured the third overall World Cup title of her career (2016, 2013, 2012) after sliding onto the podium in all nine races including the World Championships. The Canadian duo had four victories, three silvers including one at the World Champs, and two bronze medals two years ago. Kaillie also made history driving to the gold medal in the first-ever all women’s four-man exhibition race at the World Championships in 2016. She successfully defended that title last year. In addition to winning a silver medal in the women’s 2-man event at the 2017 World Championships, Kaillie racked up two more gold, two silver and one bronze medal to finish second overall in the pre-Olympic year. In addition to her five World Championship medals, including two victories, Kaillie now has 19 World Cup victories and 43 career podiums as a pilot. Formerly an alpine ski racer, Kaillie competed until she was 16 years old. Her dream was to be on the National Team and win an Olympic gold in alpine skiing, but realized she was never quite good enough. However, bobsleigh has allowed her to realize her dreams and she has never looked back. As a lifetime resident of Calgary, Kaillie has made a commitment to giving back to the community when she is at home during competition breaks and during the off-season. At Christmas time, Kaillie and her family donate time to help feed those less fortunate through a dinner program at the homeless shelter. Kaillie is also an active member with many schools around the city, Where she is a mentor and speaks to students about the importance of setting goals, exercise and saying “No” to drugs.